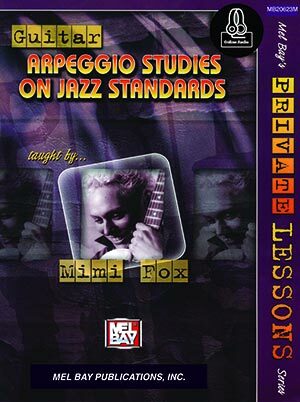 An in-depth approach by Mimi Fox to mastering arpeggios for guitarists, beginning with simple arpeggio studies, this book progresses through simple concepts and tunes then proceeds to tackle some of the great standards that jazz musicians play. The lesson concludes with advanced arpeggio concepts including super-imposition of unusual arpeggios over various chord types to create startling tonal clusters. This is a must-have for all serious guitarists who want to achieve great technique while developing their sense of harmony. Audio download available online.